It’s 2018 and rare diseases are still not being consistently diagnosed, treated and supported effectively. 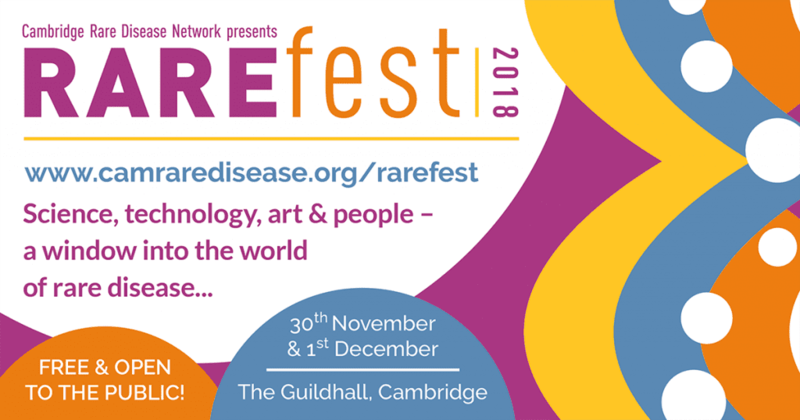 Conceived by the Cambridge Rare Disease Network (CRDN), RAREfest18 takes place on 30 Nov & 1 Dec at The Guildhall in Cambridge. The aim is to spotlight some of the successes and innovative solutions that are striving to address this imbalance – the event is free to attend. It is hoped that the festival will raise awareness of rare conditions and bring together many stakeholders from across the rare disease community alongside the general public from across Cambridgeshire and beyond. Together with a number of other rare speakers, our CEO Michael McGrath will be speaking at the Guildhall on Fri 30 Nov about his own journey of diagnosis, his polar motivations and the precious commodity of life experiences. The exhibition on Sat 1 Dec will showcase cutting edge research, science, technologies, products and solutions alongside best examples of medical services, support networks and powerful patient stories. The exhibition aims to demonstrate and celebrate the breadth of excellence in this field, in Cambridge and beyond. 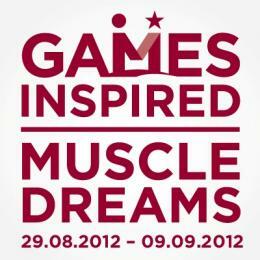 The Muscle Help Foundation is delighted to announce that it will have a presence as an exhibitor and as such, we would like to encourage members of the public, supporters, donors, friends of the charity and organisations with an interest to come along and meet some of our Ambassadors, as well as some of our long-standing volunteers and our CEO to learn more about the charity’s work and impact but also hear some exciting news! In addition, we’re also thrilled to announce the support of one of our Ambassadors, Vivek Gohil, who has agreed to help the poster competition with a conscience take off!  The Muscle Help Foundation charity is proud to be supporting the Cambridge Rare Disease Network and RAREfest18.